Celebrity recovery stories are often tales of redemption and some of Hollywood’s best loved actors have managed to save and even boost their careers by making the decision to quit their addiction. Most actors find that their substance abuse can begin to affect their ability to work and puts them endanger of losing what they love the most. Celebrated actors like Ben Affleck, Robert Downey Jr and Bradley Cooper all maintain a sober lifestyle and enjoy more active and successful careers as a result. 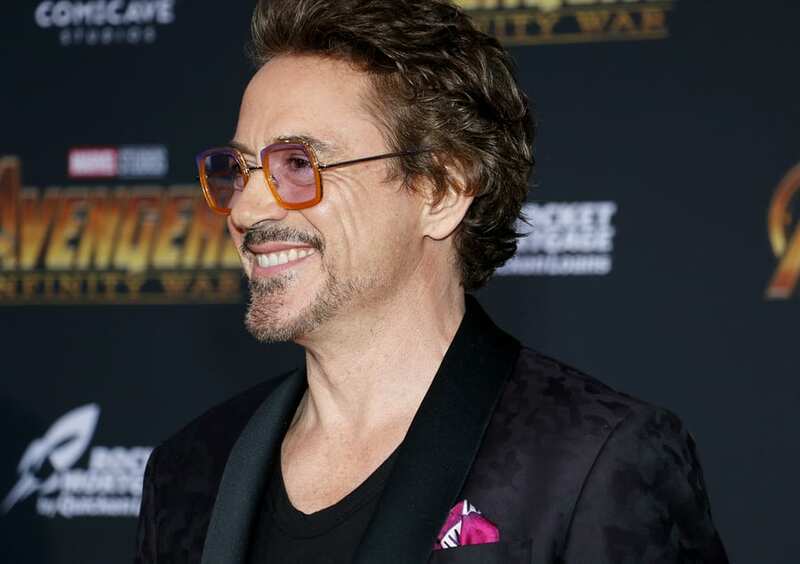 Downey is one of the most famous comeback stories in Hollywood as an actor that beat his addiction to then become one of the highest paid stars of major blockbuster movies like “Iron Man”. The sober elite are savoring life without drugs or alcohol as their work continues to inspire and entertain us with every film. Ben Affleck, star of film favorites like “Gone Girl” has only recently completed treatment for alcohol addiction and is feeling good in his new sober lifestyle. The 44 year old actor had been struggling with an alcohol problem for years and decided to finally quit for himself and for his family. His hope was that quitting would help him become a better father so that he could do what is best for his children. Affleck was not ashamed to announce his decision, even taking to Facebook to share the news with his fans. He wrote that “there is no shame in getting help when you need it”, serving as a message for both his children and anyone who is struggling with addiction but feels afraid to take steps to change. Affleck was clean and sober when he attended the most recent Academy Awards ceremony in February and brought a sober companion with him to help him stay on track through the night. Although he and his co-parent Jennifer Garner are separated, he says that she supported him throughout his time in rehab treatment and cared for their children so that the could focus on his recovery. One of the most respected and beloved stars in the industry, Bradley Cooper, says he owes everything to his sobriety. The Oscar nominated star of “American Sniper” and “Silver Linings Playbook” has been very public about his past battles with alcohol since 2012 when he spoke out about his experiences when he quit drinking a little more than a decade ago. He insists that quitting alcohol saved his life and his career which he felt that he was beginning to sabotage with his issues of addiction. When he was just 29 and working as an actor, Cooper realized that his addiction to alcohol and painkillers was beginning to affect his work and causing him to fail to life to his full potential. Since getting sober, Cooper has seen his career skyrocket with roles in huge hits like “The Hangover” and more recently as the voice of Rocket Raccoon in “Guardians of the Galaxy.” He has also proven his acting chops in critically acclaimed films winning him multiple nominations and awards in the past few years. Cooper knows that getting sober changed his life for the better and he would not enjoy the career that he has now if he had never resolved his issues with addiction. Although he is now revered as one of the most talented and highest paid actors in Hollywood, it was not long ago that Robert Downey Jr was considered unhireable because of his dire issues with drinking and drug abuse which at one point landed him in prison. Downey had a difficult upbringing with his father, Robert Downey Sr. a filmmaker who also suffered from addiction and allowed Jr to try marijuana at the age of only six years old. The two bonded over substance abuse and this led to Downey Jr. drinking on a daily basis. In spite of all this, Downey made a name for himself as a young actor in the 80s starring in hits like “Weird Science” and the film adaptation of the Bret Easton Ellis novel “Less Than Zero”. Downey’s career hit a high point in the 90s when he was nominated for his performance in the film “Chaplin” but then in 1996 when he was arrested for possession of heroin and cocaine. He cycled in and out of jail following multiple arrests over the course of several years and was even fired from his role on “Ally McBeal”. Downey finally entered rehab and quit his drug use for good in 2003 after his wife gave him an ultimatum. Since then his career steadily rose out of the ashes and he started working in films like “Kiss, Kiss, Bang, Bang” and “Zodiac”. Downey’s acting career hit an all time high when he landed the starring role in Jon Favreau’s “Iron Man”. Downey is now a blockbuster actor who seems to keep improving with age and time thanks to his decision to live sober. Its been 10 years since Iron Man was released and with the monumental success of the Avengers movies Robert Downey Jr. shows no signs of stopping.